Thia Grassman is native of Tallahassee. She spent five years in Orlando, FL attending the University of Central Florida, earning a bachelor’s degree in Psychology and Interpersonal Communications. After deciding she needed a change of location and career focus, she moved to Louisville, KY. In 2011 she completed an associate’s degree of Medical Massage from Spencerian College. She spent her internship hours in a chiropractor’s office and working on the University of Louisville football team. Thia went on to work in a spa and two different independent massage businesses. This variety of settings has shaped her massage techniques into a combination of therapeutic correction of dysfunction and stress-relieving relaxation. She is a strong believer in the synergy of chiropractic care and massage therapy. Receiving massage along with an adjustment relieves the muscles around the subluxation and fascilitates a resetting of the muscle’s memory. 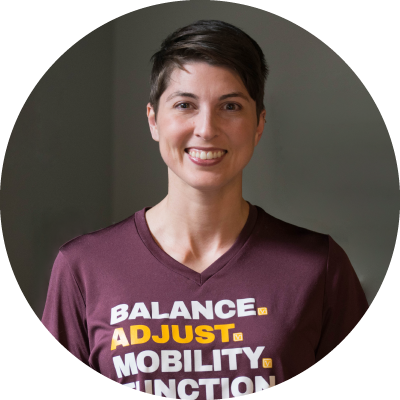 Thia’s continuing education includes myofascial release, scar tissue release, injury recovery, sport’s massage, energy work, side lying prenatal massage, aromatherapy, headaches, and trigger point work. She is able to alter the pressure of the massage and tailors the massage to fit the specific needs of the patient.